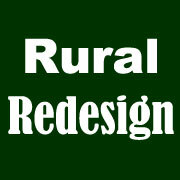 Rural Redesign is taking time to step back and evaluate the progress we’ve made over the past 14 months, and consider our options as we move into 2015 with a new Mayor and Council who have assured us of their willingness and desire to listen and work with us. It has become painfully clear our original goal of leaving Port Hope and amalgamating with another rural municipality is plagued with legislative non-interest and political roadblocks. There is a general reluctance at both the municipal and provincial levels to consider or encourage any form of municipal restructuring in spite of Municipal Act legislation which accommodates it. A major accomplishment in itself for which we sincerely thank all of our supporters for their dedication, hard work, and effort (especially in inclement weather) to achieve that one very important victory for Hope Township residents. So it appears we’re now left with only two realistic choices: 1) negotiate and remain with the Municipality of Port Hope, or 2) seek a reversal of the 2001 amalgamation by appealing directly to the Crown through a Petition of Right. 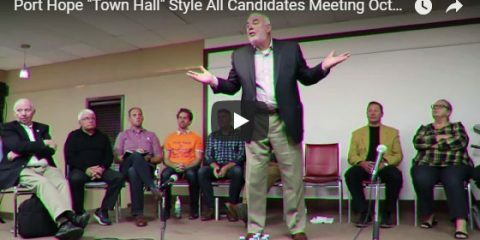 Based on the results of the recent election, and with the support of Hope Township residents, Rural Redesign is turning its focus toward seeking a fair and equitable alignment within the Municipality of Port Hope that the amalgamation should have afforded all residents of the municipality from Day 1. Specifically, Hope Township residents must be allowed to preserve our rural values and lifestyle without undue financial hardship. Failure to obtain these basic rights and freedoms within a reasonable period of time, and with the support of Hope Township residents, our only remaining option will be to direct our full attention to the Goderich Petition of Right and seek a similar reversal of our 2001 amalgamation and a return to an independent Hope Township. The current system essentially guarantees a Ward 1 urban Majority over rural Ward 2 on all issues, ironically even those issues having a significant impact on Ward 2. Even our double vote for Planning and Taxes failed to block our largest tax increase in history. This has to change. 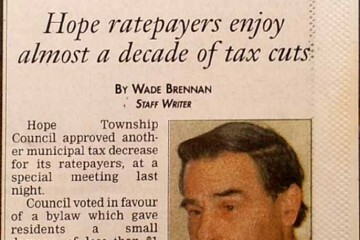 The recent decision to increase taxes by 37% in Hope Township and decrease taxes by 7% in Ward 1 has to be revisited and a solution presented that is fair to ALL residents. This includes the challenges of having the LLRW Trust Fund allocated and managed according to the original Legal Agreement. The previous Council seriously misrepresented the whole question of who pays for what and how. This includes the issues of Emergency Services (Fire, Police) and many other shared municipal services. Separate accounting must be implemented for the Town and Township. The name “The Municipality of Port Hope” and the “Ward 1 and “Ward 2” designations has always been a thorn. The original name “The Municipality of Port Hope and Hope”, and new identifiers of “Town” and “Township” would provide a welcome recognition for rural residents who’ve felt a distinct loss of identity following the amalgamation. Perhaps the greatest concern of all is that any mutually acceptable agreement achieved in 2015 to remain as one municipality may only be a temporary reprieve, easily terminated by a future Council to the detriment of rural residents. This has to be addressed. The new Council has offered to work with Rural Redesign to resolve our issues, which is a positive step for Hope Township residents. The new Council will spend the next 90 days reviewing and analyzing municipal finances which is a positive step for ALL residents. We are encouraging residents to submit positive suggestions to the Mayor and Council for ways to eliminate the urban/rural divide in Port Hope. Greg Burns has been named Deputy Mayor. This is a lovely accolade for his hard work and integrity over the past four years. In addition, it gives Hope Township a representative in a more powerful role than a Councilor. In addition, Louise Ferrie-Blecher has demonstrated a clear intention to work for resolutions to the issues that exist in Hope Township. We will continue to monitor the progress of the Goderich Petition of Right presented to the Attorney General in the Ontario legislature on 27Nov2014, and the potential implications for Hope Township.